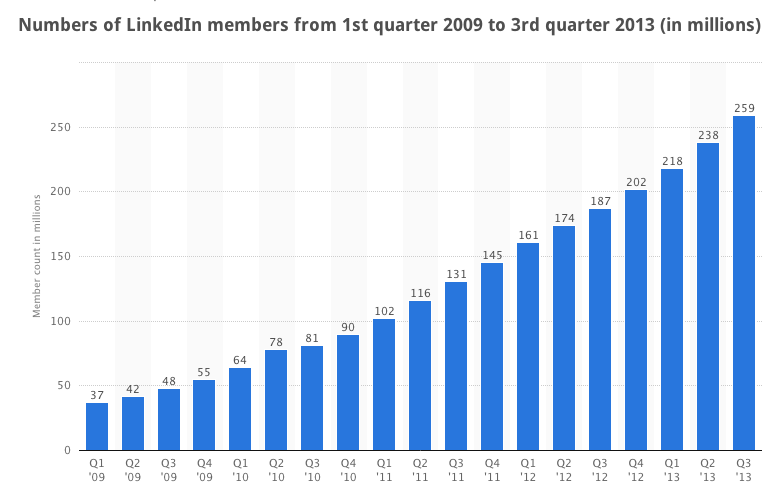 As the number of users and brands on LinkedIn increases, the need to differentiate your brand is becoming more important. It’s also essential to create a positive experience for the people interacting with your brand, products or services. To truly engage your audience, you need to make sure that your company page is current. If the information is outdated or lacking, your audience may not be aware of your latest business offerings and successes. Updating your page keeps your followers in the loop while attracting new followers and potential customers. A page filled with compelling information, pictures and links is likely to appeal to more followers than a page with little to no information or outdated posts. It is safe to assume that your followers are usually people interested in your industry or company. Mindfully catering posts toward business prospects who are likely to convert into customers or advocates for your product or service will increase the likelihood of overall engagement with your content. If you are not using paid advertising on LinkedIn to boost the reach of your posts to your target audiences, it is even more vital that your posts be highly relevant if you want to engage people. Keep your followers tuned into your brand with interesting and helpful content such as current events, articles from industry thought leaders (both from within your company and outside influencers), company culture, career tips and tricks, infographics, stats and stories about the latest trends. Maintain variety with a rich combination of company updates and industry information. To encourage your visitors to revisit your page and become loyal followers, you can also share useful online resources or free tools. 3. Post Regularly – and with Flair! When posting to your company page on LinkedIn, your goal should be to generate impressions and increase audience engagement. Posting on a regular basis keeps your followers interested and–importantly–gives them something to look forward to when they visit your page. Keep your posts concise and to the point, but don’t be afraid to show your personality, which will help distinguish your posts from your competitors’. Additionally, the occasional touch of humor or wit when posting can add the necessary flair to attract more followers. In order to determine what’s working (and not) when you’re posting to your company page on LinkedIn, you can use LinkedIn Analytics to discover which posts are effective in drawing attention to your brand and generating buzz. Metrics such as impressions and interactions can show you which posts are most successful and help you identify posting trends that work for your business. Analyzing your overall post effectiveness and adjusting your posting strategy accordingly will help you boost the popularity of your page and increase audience engagement. The Golden Rule you learned as a child is still incredibly important as an adult – treat others the way you want to be treated. In the case of networking on LinkedIn, engaging with someone else’s content can help you increase your own and your company’s presence. Through discussion and content sharing, you can build a relationship with those with whom you are connecting. Plus, if you help them spread their content, there is an increased likelihood that some of them will do the same. The beautiful thing about social networking is that anything you share with your connections can be shared with their connections, and so on. It’s important to keep in mind that if the majority of your posts appear to be purely self-serving, they could be viewed as spammy and may do more harm than good to your brand image. For every company-focused post, you should think about creating three non-branded posts that your followers would want to read and potentially share. By posting valuable content about your company and industry, your posts are more likely to spread without too much extra work on your end. These days, actively communicating with your followers is crucial to growing your business. Done right, LinkedIn can be an effective means of increasing your brand presence with the communities that matter to you. Use these tips and tricks to set your brand apart from the competition, connect meaningfully with your followers and nurture those relationships so that more prospects become customers.